It’s fair to say that little Princess was very excited about her visit, and Daddy and I were interested to see how she’d react to being so close to firstly the sea life and secondly Peso and Kwazii. We arrived early and the staff were friendly and very helpful, handing us our Mission Cards and sending us on our way. The idea being that there were 9 questions dotted around the centre and you had to find the correct answers to complete your mission. It wasn’t long before we bumped into Peso, rather aptly near the Penguin exhibit. Princess was overwhelmed, not knowing where to look first. She loved watching the penguins glide through the water AND enjoyed saying hello to Peso. Her initial reaction was promising. She enjoyed going through the different exhibits, and I would recommend that you find out about the different talks being given at the centre to make the most of your visit. We spent a lot of time looking at the different fish and sea creatures as this was the first time Princess had really seen anything like this. My favourite exhibition by far was the jelly fish. Lit with different colours to show you the definition of this sea creature and to create atmosphere was a great touch to the exhibit. We all enjoyed watching them float around in their specially designed aquariums. 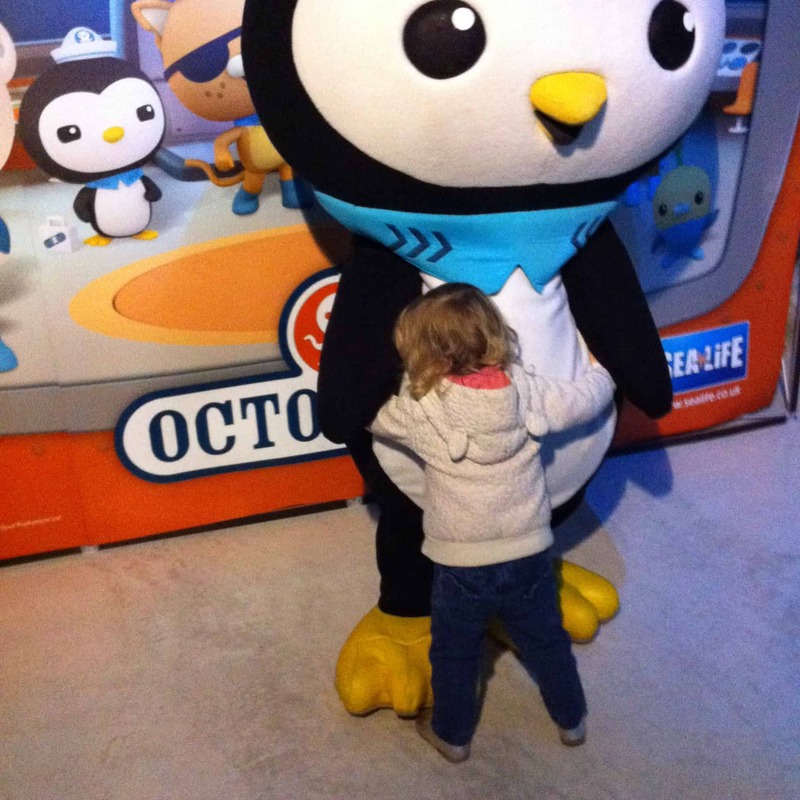 Soon after the sea tunnel, we arrived at the Octonauts meeting place for our photo opportunity. Well, lets just say Princess was a little enthusiastic and went straight in for a big Octonaut hug. It was priceless. I think Peso was a little overwhelmed to say the least! Once we’d prized her away, we took a look at the photo’s we’d had taken on the way round (and yes we did buy some) and Princess had a quick play in the small soft play area whilst I headed off to change little Pudding. 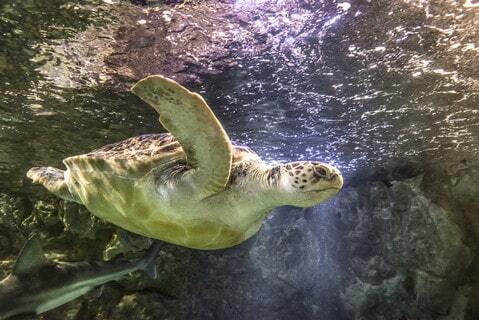 A lovely way to introduce small children to sea life. Meeting the Octonauts and getting a sticker to complete the mission. Easy access from nearby car parks. Take your time going round as the centre is quite small. No cafe or designated rest area, but there are a few places to sit on the way round. A cafe would be lovely with aquariums if space allowed. There aren’t many toilet facilities and the baby change was shall we say compact and bijou! I had to leave the pram outside so I could change the baby, and sadly there was no strap to secure her to the change table which needs to be fixed sooner rather than later. 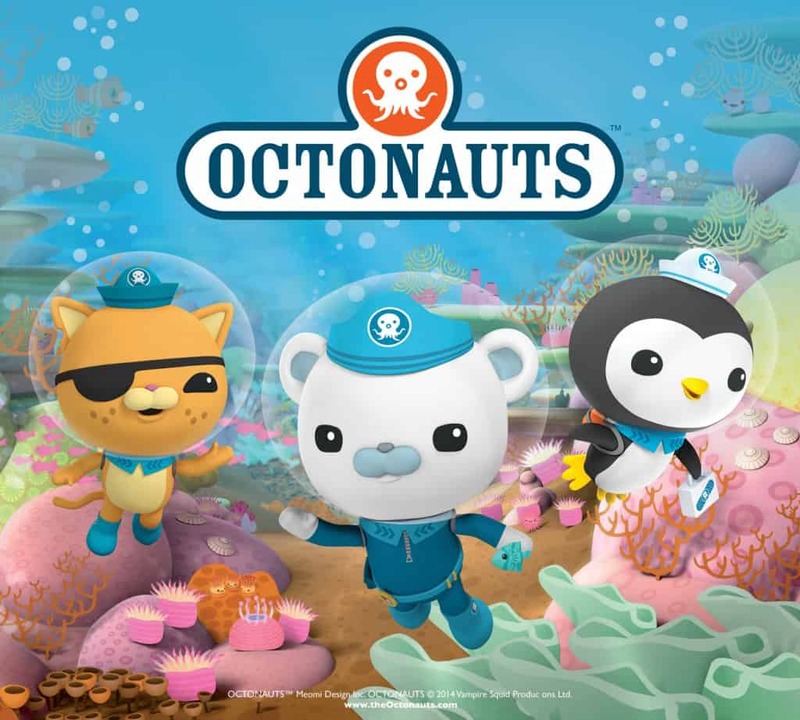 I would still recommend a visit if your little one, toddler or preschooler is an Octonauts fan and would like to see some really cool sea life. 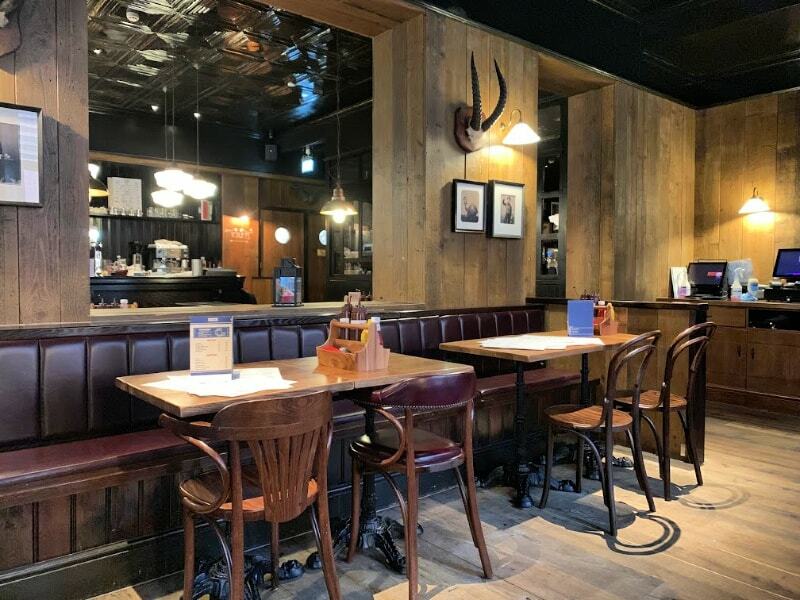 It’s definitely worth considering if you’re looking for a day out or activity in Birmingham. 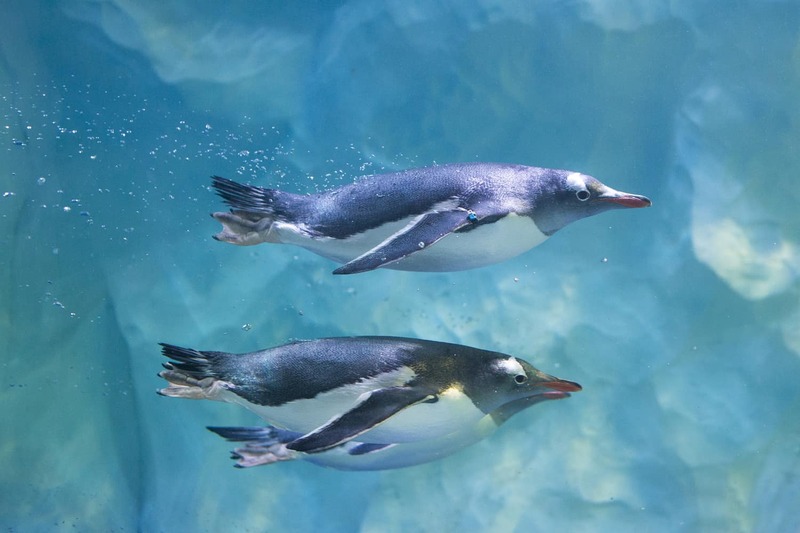 The centre does some amazing work for sea life conservation which you can find out about and support at the centre, but don’t expect your visit to last much more than a couple of hours tops. We were provided with free entry to the Birmingham Sea Life Centre in exchange for this review. All views are my own. Why It's Great To Be A Blogger Right Now! Looks like you all had a fab day. Love the photos. 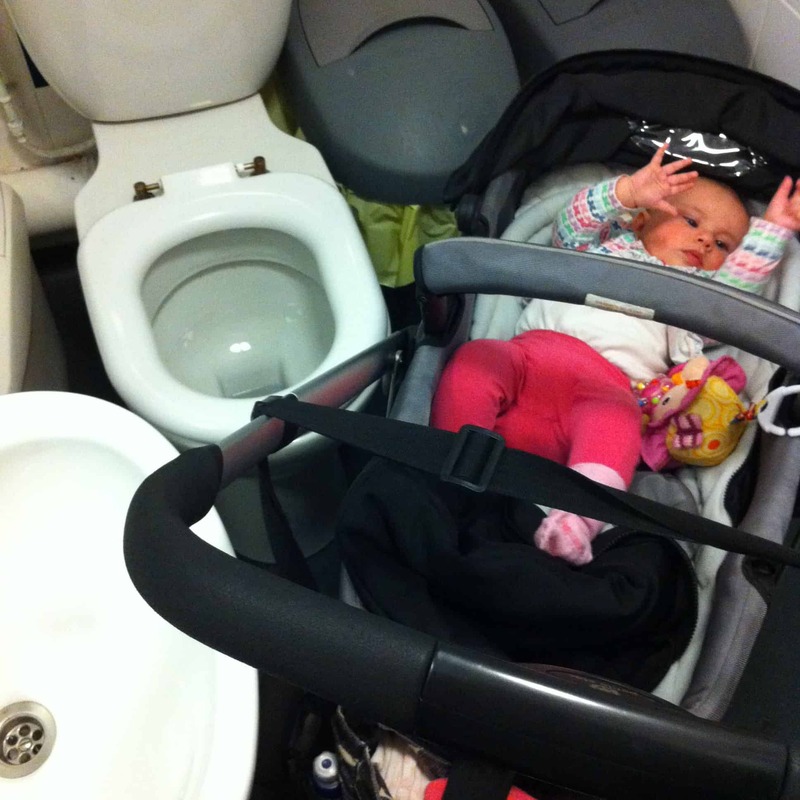 Not the toilet squeezing one though – id never get my double buggy in there!! 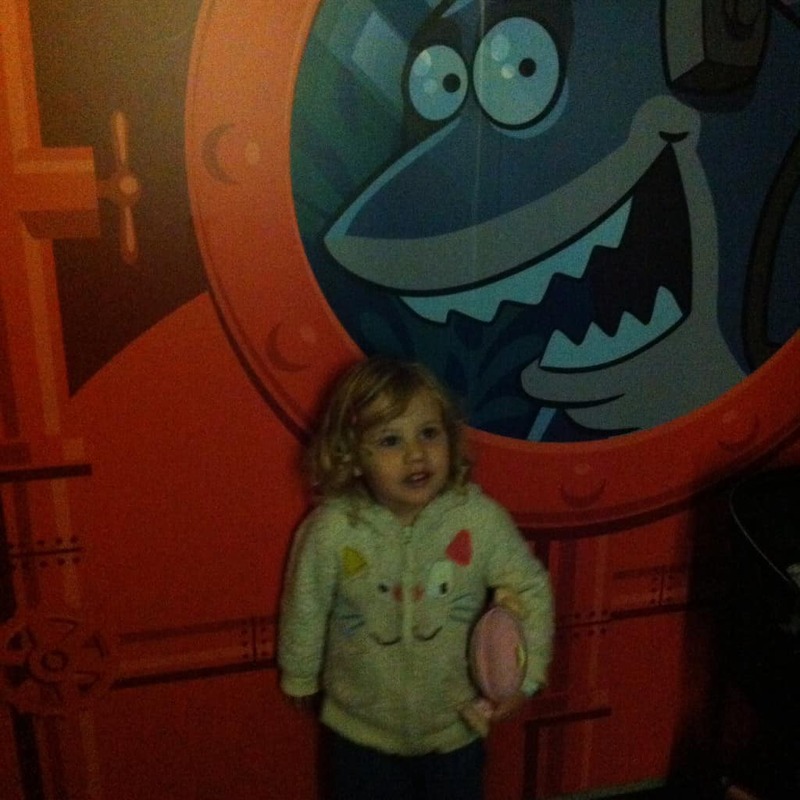 She is so cute that shark’s about to bite her! hahaha! 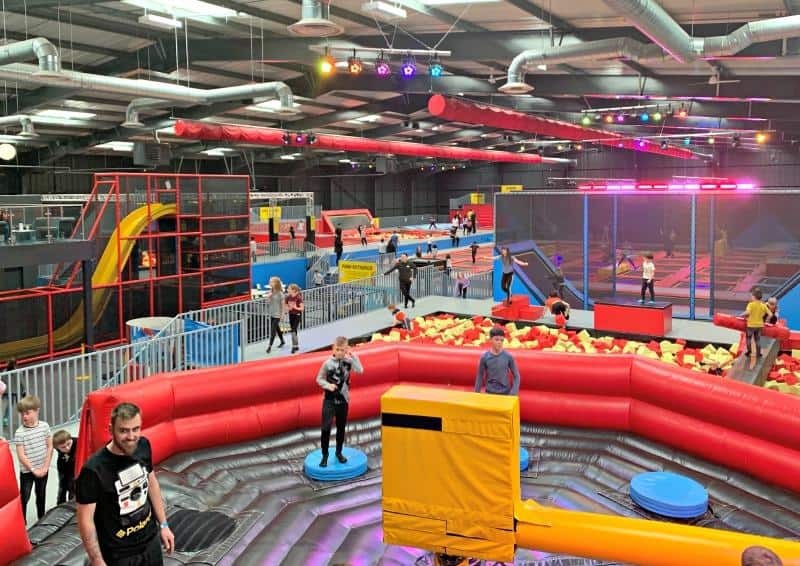 This place seems like a lot of fun! Too bad there weren’t enough place to rest though..
That picture in the toilet would have made me laugh if it wasn’t so ridiculous 🙂 Sounds like a good place for little ones who wouldn’t last much more than an hour or so somewhere. 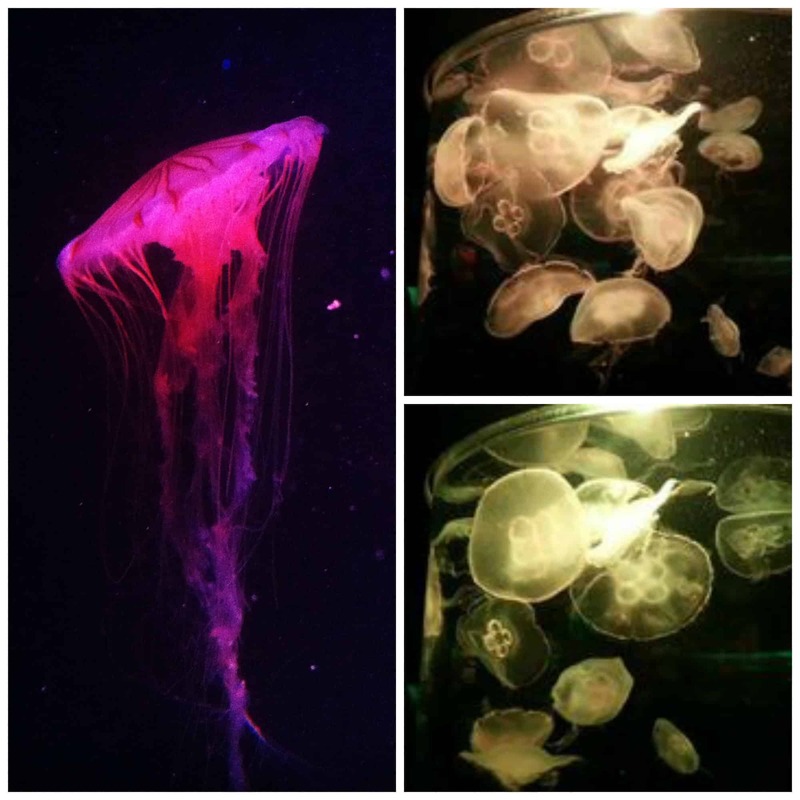 Your jellyfish photos are fab! This is so cute! What a lovely idea for helping kids get interested in the undersea world.